Sometimes big enough just isn't big enough. So, even when we have a large multimillion jackpot, we still feel the need to make it even BIGGER! Since Lottoland is the only company that can do this, and since the size of these jackpots can sometimes be hard to get your head around, we've written this article to explain how it works, and how you can win these massive, exclusive jackpots. IMPORTANT: We are currently running a Powerball Special Jackpot of £105 million at Lottoland for the draw which takes place early Sunday morning (March 31st) at around 4am UK time! Ever seen a jackpot on our website that looked far higher than the official one? Well, it's not a typo. Having a 6 instead of a 5 because they're right next to each other on the keyboard - that's a typo. Having a jackpot that's over £40 million higher than the one being advertised on the high street – that's what we call a Special Jackpot. And the reason we're the only site that's advertising that lottery jackpot amount is simple - it's because we're the only company out there that can offer it. Lottoland's business model, in a nutshell, is lottery betting. It's like any other kind of betting really; you stake your money, you choose an outcome and, should you beat the odds, the house pays you out big. It's like if you went to the bookies, but instead of betting on sports events, you bet on lottery draws. But of course it's also nothing like it because, unlike your local bookies, you can win hundreds of millions for a simple £2 stake! Of course since you're betting on the results of the lottery with us, and since we pay out all wins to you directly, we're not constrained by how much the official lottery jackpot is. Which allows us to make them bigger. We call these Special Jackpots, and we tend to run them to coincide with special holidays or events. 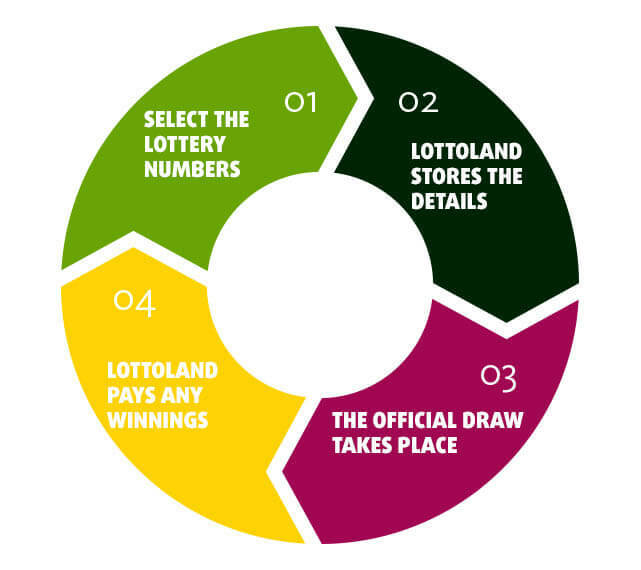 The following infographic shows Lottoland's business model, which enables us to offer a wide range of lotteries, accept bets and guarantee millions in pay-outs. You choose your lucky numbers and complete your betslip online. Lottoland will then send you an automatic order confirmation via e-mail and the ticket will be stored in your player account. As soon as the official draw has taken place, you will be informed again by e-mail about the outcome and Lottoland will check all submitted coupons. Once the result of the draw is confirmed, any winnings will be credited to your player account. You can then apply for a payout or re-stake your winnings. 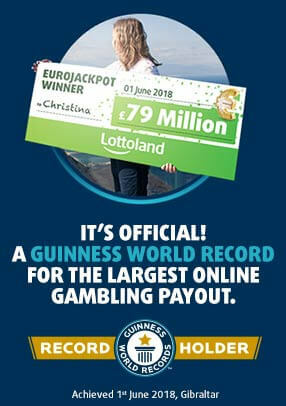 More information about how Lottoland pays out millions can be found here. The best proof that this business model has proven itself is the huge profits that Lottoland has already paid. In April 2016, for example, one of our players won a jackpot of 22 million euros and only a short time later, the amount was transferred to his bank account. Special Jackpots are already familiar to our players in the UK, on the continent and beyond. In previous years, for example, we ran two Special Jackpots to coincide with the Fourth of July and Thanksgiving. Two American holidays, so it made sense to pick MegaMillions. 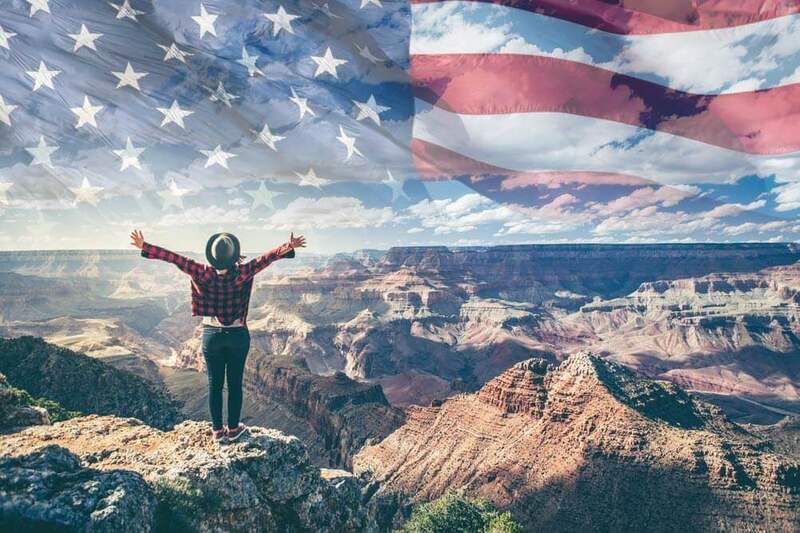 The former jackpot world champion and current second seed is hardly a stranger to huge jackpots, but we decided to boost it anyway – because in America bigger is always better! The Biggest Lottery Jackpots Anywhere! Rollovers are a key ingredient in creating large lottery jackpots – and Special Jackpots are no different. So, as with a regular jackpot, if there are no jackpot winners the amount rolls over to the next draw, with a hefty extra chunk of prize money loaded up top. In the case of a Lottoland Special Jackpot, however, we're already starting with a huge amount and every time there's no winner we start piling on even more cash! This can lead to exclusive Special Jackpots at Lottoland that are two, three or perhaps even four times bigger than the official amount! Wow – So When's The Next One? Ah! Well… One of the things that makes our Special Jackpots so special, other than their massive size of course, is that we like to keep them secret and then surprise our players with them throughout the year. So if you're excited by the prospects of super-sized special lottery jackpots be sure to check in regularly and don't forget to check out the big jackpots on all of our lotteries. NEXT SPECIAL JACKPOT: POWERBALL, MARCH 31ST!